Lehrigen is a skilled and relentless elf-hunter. Though not without respect for his quarry, his ruthlessness is matched by his conviction elves they are little more than animals. He learns otherwise after encountering Ember and her wolfriders, and eventually joins forces with them against his erstwhile employer, the warlord Angrif Djun. 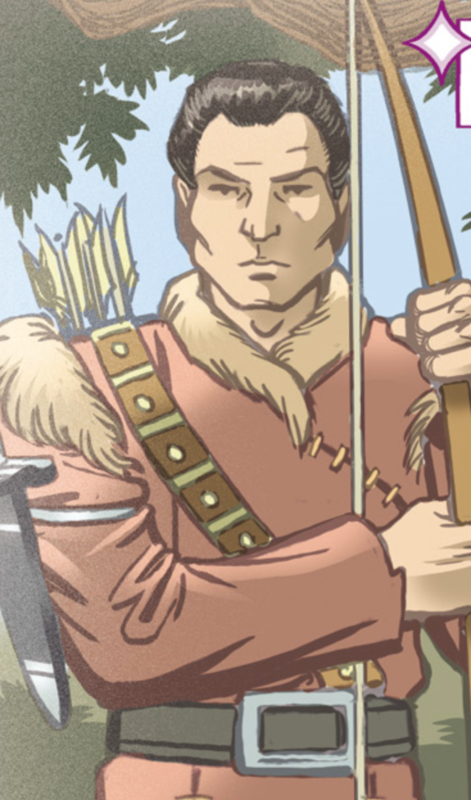 Angrif Djun, hoping to possess a “healer-sorcerer” such as his father had briefly retained, hires Lehrigen when his claim to have killed many elves is backed by a convincing collection of trophies. Preferring to work alone, Lehrigen leaves the Djun’s thugs behind before tracking down the wolfriders in Djunsland. Accustomed to dealing with less methodical human enemies, Ember is ill-prepared for Lehrigen’s expertise and unwavering attention to detail. After capturing two of the elves and trading them for Mender, Lehrigen is finally overpowered when his faithful dog, Morri, is turned against him via Teir’s magical connection with animals. Though the elves assure him of their good intentions, Lehrigen is only swayed when the Djun’s men launch a surprise attack, and they must fight alongside one another to prevail. 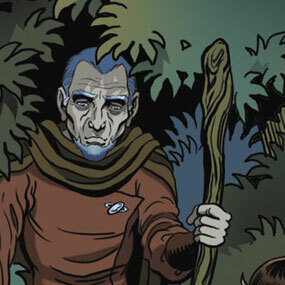 Years later, a terminally-ill Lehrigen returns to Ember’s tribe, and asks to live out his final days there. Confronted by Krim when he reveals that he killed Kahvi, her former chief, Lehrigen is happy to let the angry Go-Back take his life. Their dispute is interrupted, however, by the Djun’s latest effort to flush out the Wolfriders; finding the old man’s fighting style to her liking, Krim promises Lehrigen a quick death if he helps her get a “crack” at the tyrant himself. Both the elfin warrior and the human hunter meet the battle head-on, with glorious results.